Bonfire Summer Stout – Stout with hints of Marshmallow Wins! 7.25.18 – PACKAGED! This beer is in bottles and heading your way soon! 7.16.18 – Almost there! The beer is just about ready to rock. It is tasting amazing and labels are headed to print. We will be getting this beer all set for release in the next couple of weeks! Cheers! 6.26.18 – Ingredient additions! Ingredients are in and the beer is almost all set! It is tasting amazing – smooth, full of flavor, light enough to enjoy in the summer heat. We can not wait to get this packaged! Stay tuned. 4.11.18 – Barrels have been tasted! They are tasting great, lovely bourbon with hints of marshmallow the oak character isn’t quite there so we will check them again in a month. 3.28.18 – We are getting close to tasting these barrels! There is a tasting booked for next week. We can not wait to see how they are progressing. 11.1.17 – Barrels are here and Campfire Summer Stout is being transferred! Now we wait. We will try this beer in about 6 months to see how it is progressing! Stay tuned! 9.14.17 – Bonfire Summer Stout has been brewed! This beer will ferment in its fermenting tank until it is ready to transfer to barrels. Then it will age for upto 9 months! 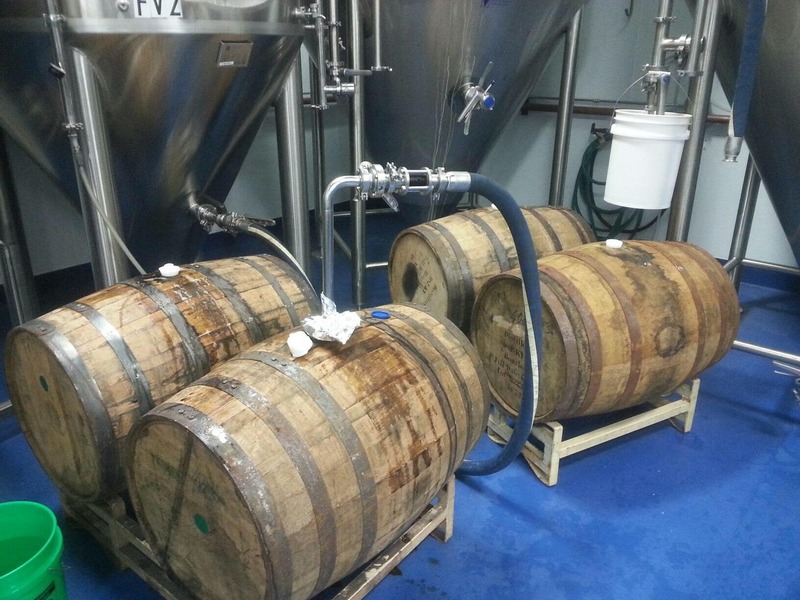 This barrel aged beaut will be worth the wait. 8.26.17 – August’s Winner! Bonfire Summer Stout – Barrel aged Milk Stout with hints of S’mores! Perfect for sitting around a campfire. We released a marshmallow style beer last year and people loved it! We are super excited to brew a similar beer and age it in barrels. Thanks, Mike, for submitting such a great beer idea. Congratulations on your win. We can not wait to get this beer brewing! Mike is an avid CrossFitter and participated in a submission process where we gathered CrossFit beer ideas from across the country! His beer weighed in strong and will be brewed in the next week. When will we be able to preorder?? and can I get it shipped to NH? Thanks for reaching out! We currently can not collect orders to ship beer as we are looking for a new shipper. We hope to have this issue resolved soon! Definitely before Campfire Summer Stout ships out 😉 Thank you for your patience! We will post when we are back up and shipping!